The Pantry by the Polo Lounge in Lahore is a high end gourmet bakery that offers delicacies previously unexplored in Pakistan. They’ve got a breakfast menu that includes unconventional items like egg benedict with turkey bacon or the bagel platter; pizza menu with flavours like margherita, artichokes and caponata; Belgian waffles like Nutella crunch and banana chocolate. And if you’re watching those extra pounds or trying to shred some, then Pantry’s extensive selection of menus and grilled sandwiches are a filling meal to complement your diet. And the best part is that they’re not boring, the typical menu items you would expect. Rather, Pantry’s got interesting combinations like honey roasted walnuts, quinoa, roasted potatoes and pomegranates. And if you’re not watching the extra pounds, then do indulge yourself in their mouth-watering desserts such as a slice of their rich and creamy carrot cake, smooth cheesecake or a salted caramel brownie. Have we got you craving yet? Good. Because The Pantry has become a signature patisserie in Lahore that offers menu items for which you may need to acquire the taste. 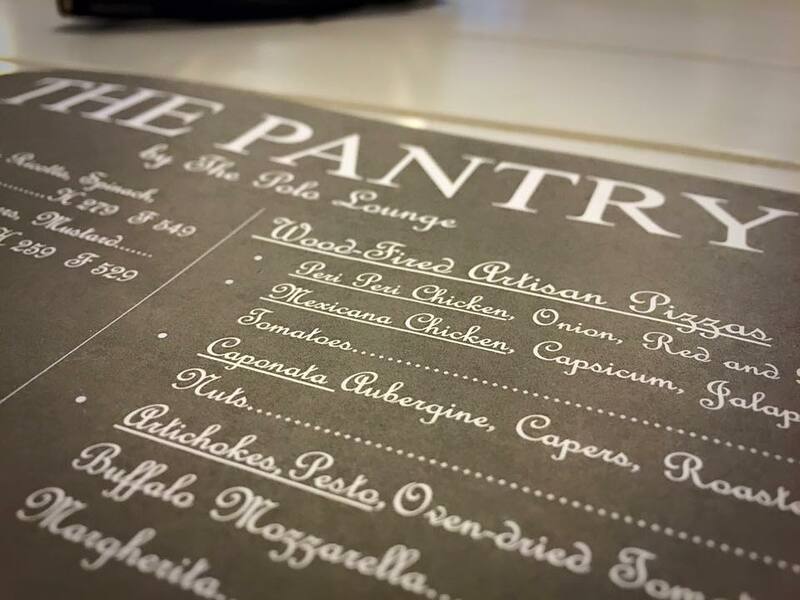 So if you’re a foodie that lets their taste buds explore new items, the Pantry is the place for you to go to or order from if you are too busy to trek all the way there. You know what, we recommend you order in and enjoy a gourmet sandwich or a grilled herb and cumin chicken at home or office or wherever you are. Because for a special meal like this, you shouldn’t bother with the traffic or the lines. Let Cheetay handle that. Cheetay riders deliver all over Lahore and will deliver your gourmet meal while it’s still fresh. And what’s more, ordering through the cheetay app is even easier. You can track your order while it’s being prepared and delivered. So order now and let cheetay serve you on your takeout order.